We visited a Chic-fil-A recently. 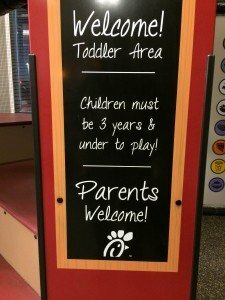 We had a great meal and my son loved playing in the play area. 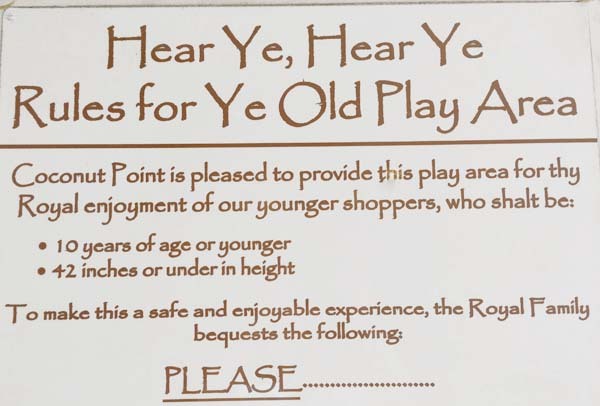 While at the play area I noticed two different signs that gave the age and height restrictions for the play area. 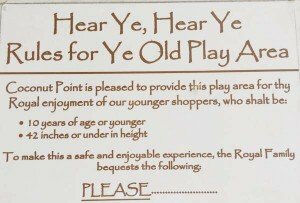 So who can play in this play area? 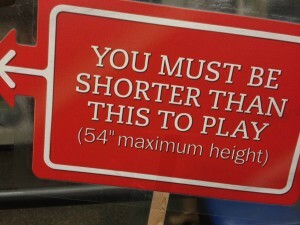 What combinations of ages and heights are allowed? 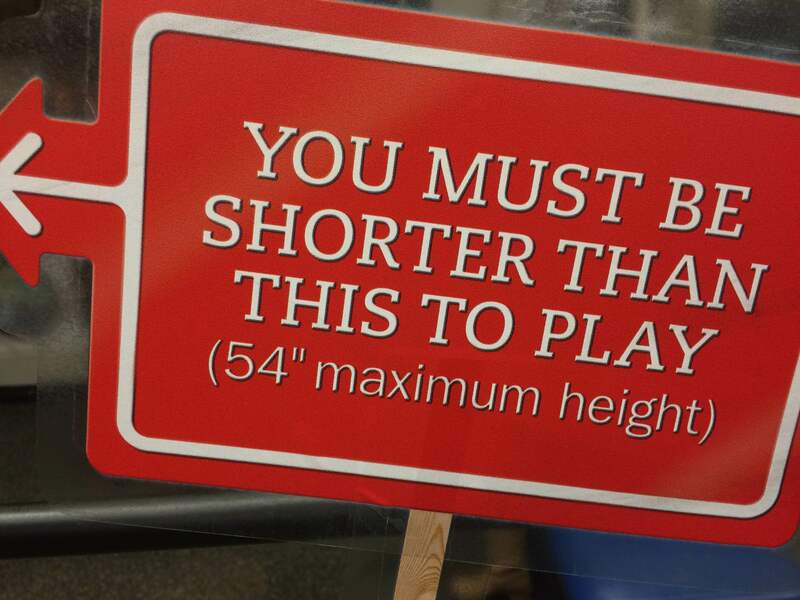 How can you clearly and concisely show or represent ages and heights that can can't play in the play area. For members we have an editable Word docx and teacher considerations with solutions.